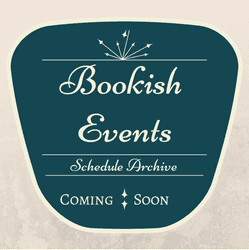 I was selected to be a tour stop on the “Vintage” virtual book tour through TLC Book Tours. I received a complimentary copy of the book direct from the publisher William Morrow, in exchange for an honest review. I did not receive compensation for my opinions or thoughts shared herein. I hadn’t realised my hardback copy of “Vintage” was damaged until I started to read the novel itself, where pieces of the pages started to rip apart and shred right off individual pages of the novel. I found the culprit but could not do anything to stop it from continuing to happen as on page 155 all the pages were glued together! A sticky substance had attached itself to the top of the pages and therefore, try as I might to be gentle & delicate – the pages would not yield nor would they budge without causing them to rip either in full chunks or strips. Of course the worst part is that page 156 & 157 were glued *together! * and by pulling them apart I lost whole words, sentences, and saw all the ink obscured completely! :( I grieved for this novel at that point. I had tucked it’s story into my heart and although I was breathing in love with each page I had turnt, the novel simply was starting to fade away from me due to ‘glue’. When this happened, I knew I would lose the beautiful pace of what I was reading,… how could I not with ‘whole pages’ stuck to each other that could not be undone without ripping the book apart? I had to stop pulling page 156 – it was just too heart-wrenching. Part of the page was so thin in the upper paragraphs you could see right through the paper! :( I ended up missing an epic fight between April & Violet as pieces of the top pages of 158 & 160 ripped apart so I could start Chapter 15. I decided not to let this deter my reading enjoyment but it proved to be quite of a challenge as it is the first time I received a book whose damage was quite literally making it difficult to read the story. Prior to page 155 each page I read had this unique slant to it, as it wouldn’t release from the top inside binding; therefore, I read this in a very creative way all the way around! The hardest pill to swallow is that when I read novels which are new when they reach my hands, I’m the kind of gentle reader who can read the book without leaving a trace I’ve read the story. No bent pages in the upper corners (I use bookmarks), no writing inside the book (I couldn’t even do that with textbooks! ), no eating of food that could transfer through my fingers (you’d be surprised what people eat whilst reading library books! ), and I barely arch the spines in order to view the words on the page! Not only for hardbacks but the paperbacks — my ChocLit novels & my William Morrow P.S. Edition paperbacks are a good cases in point; they do not show any evidence I read them in this way because I treasure keeping books in a condition that honours their texts. Even when I purchase second-hand novels and non-fiction books I’m always trying to keep the stability of the book in its current condition. This is wretching experience for a book lover whose own heart was bleeding with the characters and wanted to know all of their thoughts without skipping over pages stuck together without any hope of being undone. And, sadly I haven’t had the pleasure of taking book binding lessons and book recovery classes to know how to fix this if there were a plausible and affordable way to undo the damage. My reading slowed down considerably as I had to peel each page as best as I could to read the rest of the novel. I will omit mentioning how long it took for me to free the pages in order to read them. The top of Chapter 22 really suffered: it looked like someone took a bite out of the page! I had an impression of an idea what I would find within the pages of Vintage, as I devoured A Vintage Affair by Isobel Wolff via my local library a few years prior to when I first learnt about this new release by Susan Gloss. I fancy stories which are centered around the history and enriched life of clothes and the personal items that occupy our hours alongside the time in which we walk our path on Earth. I oft wondered about the secret histories of second-hand copies of novels could speak inside of a whisper of my ear and the same can be said for vintage clothing boutiques who re-sell clothes previously worn yet gently returned back into the wild for someone else to find them. There is such a hearty treasure to seeking clothes from previous generations, and I for one, am a happy hearted vintage clothes shopper! Mind you, I haven’t gone into the true posh boutiques yet, but the re-sell shoppes for everyday living are quite splendid! I love the textural experience of wandering from row to row and hanger to hanger, sorting through the ingredients of the clothes (in my particular case, avoiding most synthetics), and noting the styles I am finding being offered. I love the fact that you can pull shirts, skirts, dresses, and bottoms straight-off the rack and know for a start your not about to see anyone soon wear the same ensemble. We’ve become a bit cookie-cutter in our society, and although I cannot fathom why everyone wants to dress like everyone else, I’ve always celebrated individual style and a personal awareness of what types of clothes and articles of fashion make me wicked happy to have them alight in my closet! I love pulling from different styles of thought, mixing in my own take on an old trend and/or re-inventing a style that is uniquely my own by fusing pieces that might not seem alike but smashingly look brilliant in combination! I love a comfortable fit, I avoid high heels like the plague (they are seriously not a method of wellness for foot), and I like finding a nodding towards the past by finding pieces that match an eloquence of femininity that is nearly all but lost in today’s world of fashion. I’m vintage but I’m alternatively creative in my choices, I love Bohemian for instance, but I like to add a bit of funk to my colour palette and the alternative styles that might be on the fringes of punk. I love cargo pants but I like a nice comfortable pair of washed denim jeans. The accessories are always a happy delight as generally speaking in any second-hand clothing shoppe or boutique, your bound to find estate sale keepers alongside costume jewelry sparklers! The true mirth of joy is being able to go shoppe to shoppe and find pieces of your spirit drifting in through the clothes which speak to you to wear! I am not sure why I never came round to borrowing Vintage from my local library, but because I hadn’t, it allowed me to be on the blog tour! Quite simply, how could I not love a novel entitled Vintage? When it pertains to clothes and a vintage sensibility of style?! And. shh! One of my secret places to observe wicked alternative fashion is ETSY! Rock on, dear hearts! Be uniquely defined by what enlivens your own spirit! A small-town girl with a flair for fashion, Violet Turner had always dreamed of owning a shop like Hourglass Vintage. But when faced with the possibility of losing the store to an unscrupulous developer, she realizes that despite her usual self-reliance she cannot save it all by herself. Eighteen-year-old April Morgan is nearly five months along in an unplanned pregnancy when her hasty engagement is broken. When she returns the perfect vintage wedding dress to Violet’s shop, she forges an unexpected bond with women who won’t let her give up on her dreams. Betrayed by her husband, Amithi Singh begins selling off her vibrant Indian silk dresses. After decades of housekeeping and parenting a daughter who rejects her traditional ways, she fears her best days are behind her . . . until she discovers an outlet for her creativity with a needle and thread. Vintage is a charming tale of possibility, of finding renewal, love, and hope when we least expect it. Susan Gloss is a graduate of the University of Notre Dame and the University of Wisconsin Law School. When she’s not writing fiction, Susan can be found working as an attorney, blogging at GlossingOverIt, or hunting for vintage treasures for her Etsy shop, Cleverly Curated. She lives with her family in Madison, Wisconsin. Violet, April, and Amithi (along with Betsy who plays a supporting role as much as Lane) are the key characters in Vintage, who nestle into your heart as you read their stories unfold. What I found so striking about this particular story is the differences in their ages and the differences of where they are in their lives. April is just starting out on her own path as she’s a teenager on the fringes of college and motherhood, whereas Violet has lived quite a life of woe intermixed with the happier moments she carved out for herself in the world of business. Amithi is the classic housewife whose illusions of a happy marriage are shattered and irrevocably set her course on a new line of sight. They provide a triptych of insight into how life shapes us each day that we breathe and accept to take in the new experiences that cross our path. Whether or not we react well or unkind to how our lives change, it is our own attitude of how we approach life that can determine how much we can enjoy and how much we can appreciate the journey. Gloss shifts backwards and forwards through the story alighting on chapters which highlight the specific observations and emotions of each of the three women as you soak into Vintage. This unique point-of-view lends itself a unique lens to get into the heart of the novel, which I had originally fell in love with whilst reading Rosamunde Pilcher’s The Shell Seekers as a teenager. The name of the vintage shoppe inside the novel Vintage is Hourglass Vintage, a beckoning title of alluring to how time may be of the essence or a direct factor to off-set the harmony of the characters inside its pages. I like how writers choose names to give their readers a curiosity about what they will find as they read along and discover more of where the narrative is about to take them. Half the time I worry I might read a bit too much into the selections of names, but oft-times I find myself realising writers have a heap in common with songwriters; each etch into their creative works a tell; a signal left behind for someone to recognise and knowing feel museful. Violet is the proprietor who happily loves to lead an unconventional life despite the fact she has very traditional (and quite conventional) aspirations she wants to fulfill. I never understood how some women feel that if you wanted to be a Mum your life automatically becomes traditional: white picket fence, two story house, traditional job, and your children play soccer whilst you drive a mini-van. There are a lot of stereotypes and stigmas that I think cloud over the quite curiously wicked alternative, non-traditional, and unconventional families who thrive in the creative arts and/or create their own independence by pursuing a career that matches their passion. There are so many different roads to travel down, I am never certain why we all feel pigeon holed into one or two. Even motherhood is not hinged to marriage, as so many women tend to believe as well. April is at a crossroads in her life as she is attempting to sort out how to attend college whilst facing the reality of being withchild; cast alone in the world since her Mum died her sole support system is anchored by a scholarship which is run by people who genuinely care and want to help her. She’s at that unique spot in life where you have to make grown-up choices and realise somewhere inside you there is a well of strength you never knew you had. I like how she has a strong head on her shoulders, embracing a bit of no nonsense carefree attitude when her hormones are not affecting her emotional sensibility and a rock of determination that defies her circumstances. She’s a bit caught in-between childhood and adulthood, stepping as brave as she can into where the future has led her but unsure of how she’s going to get to where she wants to be. Amithi is in transition of realising her daughter has no interest in maintaining family traditions nor in keeping close ties to her extended family in India. Amithi did not have the same freedom of choice for her marriage or her life when she was the same age of her daughter, and it is how she is shifting through this transitional period of her life that endeared me to her as a character. She was raised in a traditional Indian home and had hoped part of her heritage and culture would have affected her daughter, yet each time she thought she made a bit of progress the daughter would rebel and walk a different path away from her parent’s background. The beauty of reading Vintage is the allure of second chances and second beginnings when life at first doesn’t seem to take you down the path you’ve been wanting to walk. All three women have a unique path in life they are walking as we meet them in the story and all of their lifepaths are starting to collide into each other as well. They are three extraordinarily different women, but at the heart of who they are they are incredibly alike. The story takes on a time slip arc as each new kernel of insight into each of the women’s past is revealed; we go from the present into a slip of the past as a flirting glimpse into how each of them was moulded into who they are now. Outside of my flexing of a disparaging opinion on language in the ‘fly in the ointment’, my readers I believe know by now that on occasion I can overlook these blemishes and blights to see the story outside of the wrinkling of my nose. I cannot always overlook language, especially if it is threaded into each or every other paragraph, but if its sprinkled in such a way as to remind me of flies on a picnic; I become invested in the story itself. What I appreciated the most about Gloss’s style to tell the story is her infusion of using the time slip arc, to allow us the added benefit of seeing Violet, April, and Amithi as a younger version of themselves — writ right in line with the present day goings-on. It is a unique vehicle to carry-on the unknown elements of each of their past, whilst giving the reader the breadth of what makes them who they are in the present. I love time slips as much as I love life shift narrative arcs (and I believe this qualifies in triplicate) or time travel sequences. 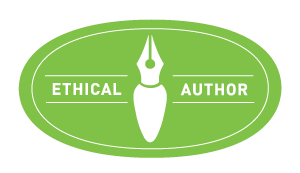 They give added dimension outside the general scope of where a story fits inside its sub-genre and happily allows us to soak in information in a way that feels as though we are conversing with the characters ourselves. Recently whilst I was reading Someone Else’s Love Story and I Shall Be Near to You, I had mentioned how finding such brass language inside novels being released was growing tiresome. I must contend, my disdain hasn’t altered now that I’ve picked up Vintage, as I am seriously starting to wonder how to advocate for word usage changes and how to get back into the heart of how to write a novel without dropping words which singe ears and wrinkle brows. I read a lot of heart-warming fiction, including the YA novel The Strength of Ballerinas yesterday which begs to reason most novels can hold their salt without abrasive words flittering into the pages at the most inconvenient times. I am starting to wonder if I am amongst the few who uses her words to express her emotions and her thoughts in a way in which does not yield to the gutter. And, why is strong language used in such a strong way in the start of a novel if only to disappear to a near blink of omission lateron? Why include it at all if the pace and style fit so well without it being added? I am always so puzzled by how language and vulgar words are being used in novels. It is nearly as if you’d have to remind yourself this novel *had! * abrasive words in it as after awhile they are simply ‘gone’. At least until they unexpectedly re-arrive back into the plot during an argument. Sighs. I’ve said my peace but I wish I had a slice of apple pie. This novel is a comforting Southern slice of bravery in the midst of life being upturnt unexpectedly, yet it takes place in the North; strangely for me the location never felt like Madison, Wisconsin (I ought to know I’ve been there) but rather somewhere down South, like Charleston or Greenville South Carolina. A place where the beauty of embracing a vintage lifestyle and the clothing boutiques like Hourglass Vintage would be happily inter-spaced in-between the more modern shoppes of fashion. I simply didn’t get the vibe this was a completely Mid-Western story nor did I feel it ‘fit’ Madison. Even though I realise the author lives there, when I visited the city I walked away with an entirely different point-of-view. The reason I didn’t seek this novel out at my local library is because ever since Thursday night and the wee hours of Friday morning my neighbour has been in the hospital – at first under pre-caution for pneumonia (in the ER), then downgraded to bronchitis (after admitted), and then, today due to complications of the antibiotics and treatments she is being held over a week before being moved into a nursing home / rehab center. I’ve been completely distracted by going back and forth to the hospital and attempting to keep up with my reading & blog schedules. She’s more like an Aunt than a neighbour, so I honestly didn’t even think of seeking a different copy to read for the review, as my focus has been on her and my family, as there are other things going on personally at the same time which have distracted me as well. (I briefly mentioned a bit of this on my post about Early Decision) To be honest, it didn’t even dawn on me until about an hour ago the hours I lost today due to a terrible lightning storm (in which I visited my neighbour as I knew going on the computer was out of the question to write this review) and the time it took to pull the pages apart — as my eyes drew to the clock worried I’d be late in posting that a library copy would have saved me a bit of grief. Of course, my library is not the one that is open 10 minutes before 9pm! These are the moments you make lemonade out of lemons and carry-on. Despite the faulty copy I received, I was overjoyed it was a hardback edition, as I was only expecting a paperback copy. I’m still joyful I have a hardback copy of Susan Gloss’s debut novel — I loved watching her and the other Debs at the blog take their turns in the bookish spotlights during the year, and it was an honour to host my ‘second’ Deb as I hosted Ms. Heather Webb (for Becoming Josephine) in January. I am enthused I have a whole new year of Debs to get to know and greet into the literary fold! My copy of Vintage is worn in and loved all the same — just like the beautiful clothes featured in the novel itself. I positively *love! * comments in the threads below each of my posts, and I have happily made sure that I could reacquire the WP Comments where you can leave me a comment by using: WP (WordPress), Twitter, Facebook, Google+, & Email! 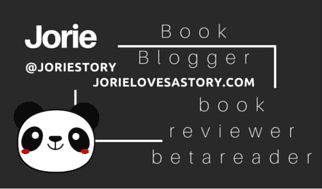 Kindly know that I appreciate each thought you want to share with me and all the posts on my blog are open to new comments & commentary! Short or long, I appreciate the time you spent to leave behind a note of your visit! Return again soon!
. 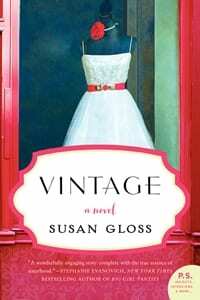 @TLCBookTours I just finished #amreading VINTAGE by Susan Gloss — oh my! I positively *loved! * how this story ends http://t.co/0kGHe4UfWK!